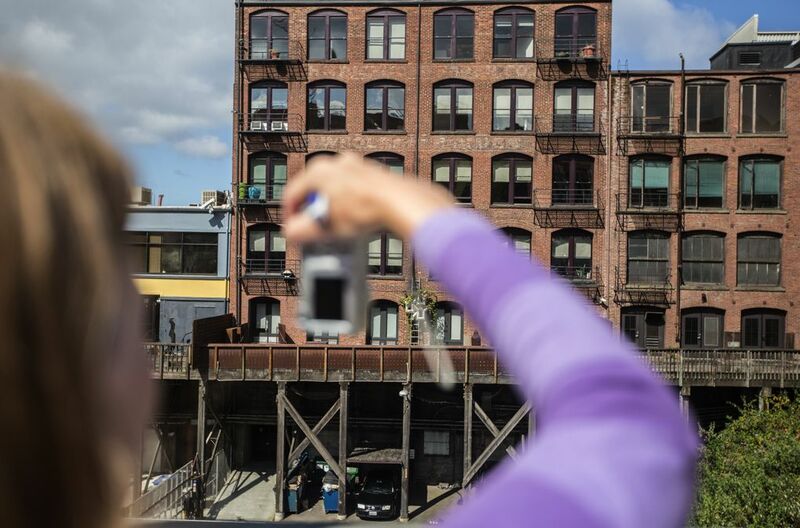 A major quake could spell disaster as many of the older structures lack reinforcement, but Seattle’s efforts to require that building owners retrofit is virtually at a standstill. 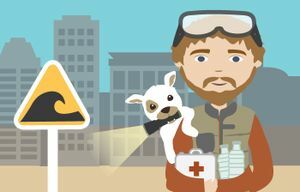 Local emergency managers agree that a recent New Yorker article was more than a little over the top in implying that everything west of Interstate 5 will be “toast” after the next Cascadia megaquake hits the Pacific Northwest. While the region’s infrastructure will be in tatters, most newer buildings should ride out the shaking fairly well. But engineers and civic leaders have known for decades that one type of structure will, indeed, be reduced to rubble: old brick buildings. From corner groceries to churches, offices and multistory apartment blocks, thousands of these seismic death traps are scattered through neighborhoods in Seattle, Tacoma, Portland and other Northwest cities. Scroll down to the bottom of this report for the list of brick buildings surveyed. Yet little has been done to require owners to retrofit or even warn occupants that the walls around them are likely to collapse in a major quake. Preliminary surveys in 2007 and 2012 identified about 800 unreinforced masonry buildings — old brick or stone structures — in Seattle. Officials estimate between 17,000 and 58,000 people live, work or spend time in those buildings. “These structures pose the single biggest risk to life during an earthquake in Seattle,” Holdeman said. The city first tried to require retrofits in the 1970s, but the regulations were repealed after fierce opposition. 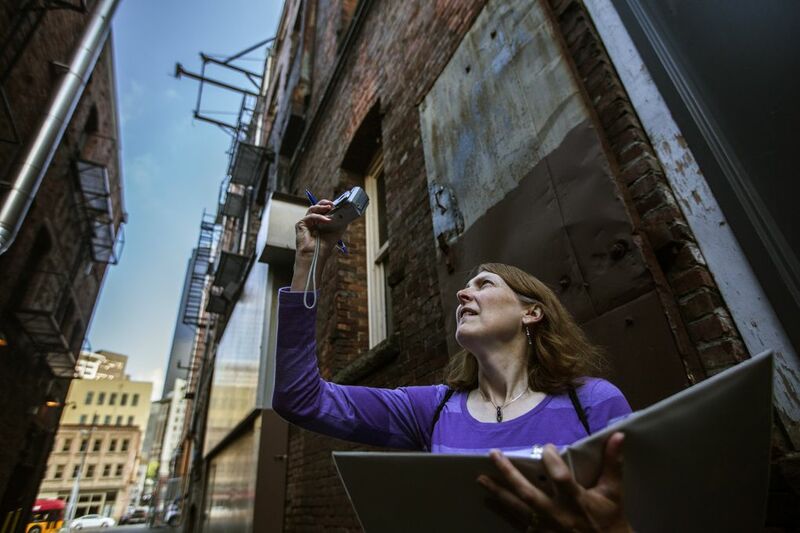 The push resumed after the 2001 Nisqually earthquake, when several brick buildings crumbled in Pioneer Square. Then the recession hit and plans were shelved. Former City Councilmember Richard Conlin revived the project in 2012. A committee was formed to propose a standard for retrofits and explore financial incentives for building owners. But Conlin left the council in 2013, and the committee didn’t have a final count of buildings in need of retrofits. So once again, progress stalled. “I don’t know if there’s anybody who has as much interest as I had,” Conlin said. The committee is still waiting on that inventory, along with details on any existing structural upgrades to the buildings before proceeding, said Jon Siu, a principal engineer at the city’s Department of Planning and Development. But the real sticking point is money. Retrofitting an old brick building can cost between $20 to $60 per square foot, depending on the type of upgrades needed and the type of building, according to a city of Seattle retrofit benefit-cost analysis completed by Gibson Economics and CollinsWoerman in 2014. For a four-story, 20,000-square-foot apartment complex, that means a bill between $400,000 and $1.2 million. Many owners balk at the expense and say it would force them to raise rents. Historic preservationists fear that some owners may abandon or demolish structures rather than upgrade them. And the city doesn’t have a ready source of money to subsidize the costs. “There’s a fundamental question about who pays for this,” Siu said. Bellwether Housing manages a group of affordable apartment buildings in Seattle, two of which are unreinforced masonry. Even though it would like to retrofit sooner rather than later, it faces the same financial challenges the city does, said its executive director Doug Daley. “There’s not a source of funds to do that kind of renovation,” Daley said. The City Council would also have to pass any ordinance that mandates retrofits. That’s likely to be a tough sell at time when city leaders are more focused on affordable housing than an earthquake that could strike tomorrow — or not for another hundred years. “There’s nobody banging on the mayor’s door or the council chambers, saying: ‘Why aren’t you doing this?’ ” Holdeman said. The reason unreinforced brick buildings are so vulnerable to shaking is that the walls aren’t securely tied to the floors, said Cale Ash, an associate principal at Degenkolb Engineers in Seattle. These buildings also lack steel reinforcement in the walls, which makes the masonry vulnerable to breaking apart. In an earthquake, the walls can pull away and the floors collapse. And the brick parapet rising above the roof can break off and fall to the ground. Officials estimate fewer than 15 percent of the city’s old brick buildings have been retrofitted. Most of those improvements were made only because Seattle’s building code requires that any structure being substantially remodeled or repaired must also get a seismic upgrade if it doesn’t meet current standards. In 2008, a technical committee recommended that Seattle mandate a range of retrofits for all unreinforced-masonry structures, including parapet bracing, securing floors and roofs to building walls, tying floor framings together, tying roof framings together and strengthening weak interior and exterior bearing walls. The upgrades wouldn’t prevent all quake damage. The primary goal is to ensure buildings don’t collapse and kill occupants or passers-by. Seattle’s approach is modeled on California, which is a world leader in making old buildings earthquake-safe. After decades of voluntary programs and spotty progress, California adopted a law in 1986 that required cities and towns near earthquake faults to inventory brick buildings and develop plans to reduce the hazard. Most cities, including San Francisco and Los Angeles, made retrofits mandatory — but phased in the requirement over several years. Today, more than 55 percent of the California’s old brick and stone buildings have been upgraded, and an additional 15 percent demolished. In Los Angeles, only a handful remain unretrofitted. San Francisco’s compliance rate is almost 90 percent. Some California cities, like San Luis Obispo, require warning signs on unretrofitted buildings. Early estimates put the statewide cost for seismic upgrades in California at about $4 billion, though the final cost was almost certainly higher. But those investments were spread over decades and are small compared to expected damage from even a moderate quake, said Fred Turner of the California Seismic Safety Commission. Other Northwest cities have made even less progress than Seattle. Vancouver, B.C., hasn’t inventoried its old masonry structures. 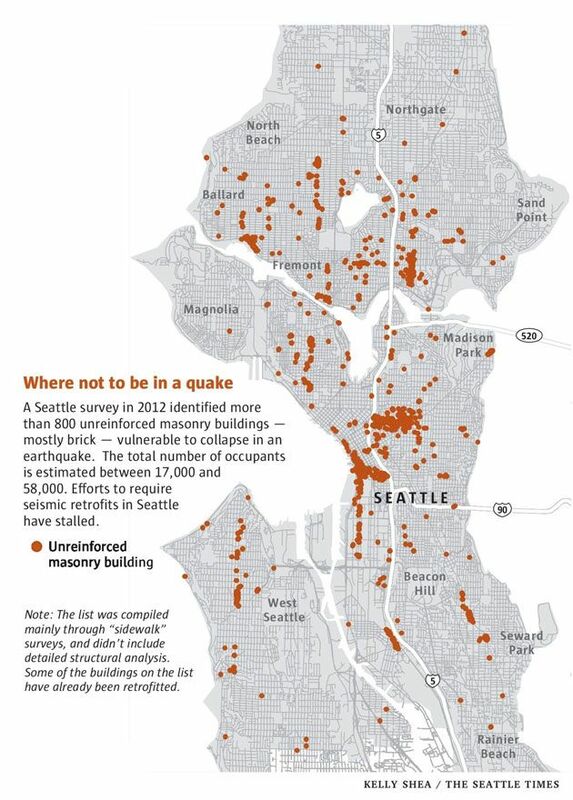 An earthquake risk assessment for Everett counted about 100 dangerous brick buildings. In Tacoma, a city official said a survey was conducted in the late 1990s, but he couldn’t access the data. In Oregon, where earthquakes weren’t factored into the building codes until the mid-1970s, surveys estimate 5,000 to 10,000 old brick buildings statewide. Portland alone has about 1,800, including several schools. The city began working in earnest on a retrofit ordinance just last year, said Dan Douthit of the Portland Bureau of Emergency Management. The fact that the 2001 Nisqually quake did little damage gave some Washingtonians a false sense of security, Holdeman said. During that quake, and similar ones in 1949 and 1965, the ground shook for about 20-40 seconds. A magnitude 9 quake on the offshore Cascadia Subduction Zone will be nearly 2,000 times more powerful, and the shaking will go on for up to five minutes — a level few, if any, unreinforced brick buildings can withstand. The last Cascadia megaquake struck in the year 1700. Estimates of average recurrence times range between 250 and 500 years — though some intervals have been as short as 200 years and others appear to have stretched on for nearly nine centuries. Even if Seattle fast-tracked the development of seismic-retrofit requirements, implementation wouldn’t start until 2018 and would likely extend several years. On the financial front, the retrofit committee last year was exploring the possibility of tax credits and exemptions, low-interest loans and community-development block grants. But with little political momentum, rapid progress seems unlikely. The city has assigned a single engineer to review the 800-plus potentially dangerous brick buildings. Nancy Devine spends most of her time on foot, armed with stout shoes, a binder of addresses and a camera. When she isn’t checking buildings using Google Street View, she’s outside, covering three to six miles a day; walking allows her to avoid parking hassles. In order to judge seismic risk, she needs to examine each building at close range. Devine has been at it since April, and she won’t be done until the middle of 2016. She still has hundreds of addresses to go. Business reporter Sanjay Bhatt contributed to this report. Sandi Doughton: 206-464-2491 or sdoughton@seattletimes.com; on Twitter @SandiDoughton. Beena Raghavendran: 206-464-2515 or braghavendran@seattletimes.com. On Twitter @thebeenster.